There are many areas of society where the state is present. These public institutions, in most cases, inform, answer, forward and assist citizens. They are at the service of citizens and multimedia kiosks are a powerful support tool. 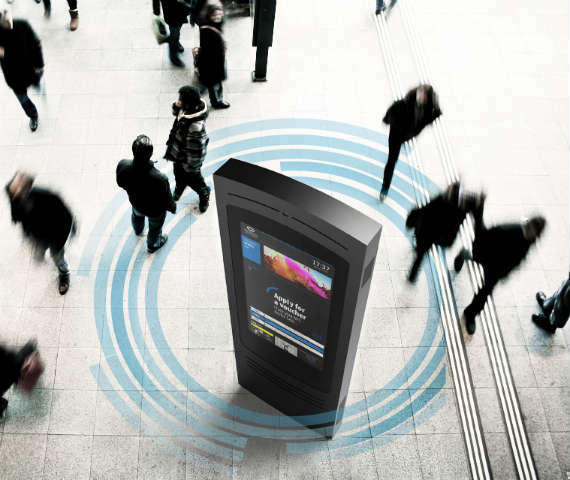 Multimedia kiosks are are made to subserve the citizens so they become an essential work element for Public Organizations. Can be used to provide relevant information to citizens, but also, in many cases, used for queues management and service in these institutions. In government, there is also increasingly the need to involve multimedia kiosks together with digital signage systems and corporate TV, (show information from queues, advertising, television) in a LCD screen placed at the front desk of these institutions. • Point of sales Kiosk - Promotion of local events (concerts, cultural events, etc.) with ticket sell vending machine. • Directory Kiosk - Search stores information in the city, (city guide), business addresses public/private. • Service management Kiosk - It is often used to direct the user to a particular site or service that he/she is looking for. • Queue Management Kiosk - helps the flow management of users in a more practical and effective way.